A few months ago, I reviewed a rather impressive demo of a Swedish band, Halcyon. Recently, one of the ex members of Halcyon wrote to inform me that Halcyon is no more and that he is now involved in a new band called Panaceum. Shortly thereafter, a demo CD arrived in my mailbox and again, I am impressed with what I hear. It's too bad that the members of Halcyon split due to musical disagreements, but this demo from Panaceum shows much promise. Panaceum plays a more unique brand of epic metal than that of Halcyon. The band features a female lead vocalist who is very competent behind the mic. This demo contains 5 tracks, one of which is an instrumental track that closes the disc. Aside from that, the 4 actual "songs" are each unique and showcase the band's songwriting strengths. Furthermore, I would find it very hard to compare this band to another band out there (or to attach a specific genre name to it), which is usually a plus when shopping around for a record deal. Sing For Tomorrow kicks things off with an upbeat, midtempo and very melodic tune. The song also features a very catchy chorus and some equally catchy riffing. Following up this track is Neverwind, a much heavier track. Fans of Swedish power metal will feel at home with track. Again, the meaty guitars are a highlight of this track; excellent riffing and a couple of solos that almost sing for themselves. Summer Nights and Awakening round on the demo EP in epic fashion. Summer Nights begins with a soft piano introduction and develops into mid to fast male/female duet that is again uplifting in nature. The male vocals aren't bad, but come across quite average when stacked against the female lead vocalist who simply shines on this disc. Otherwise, this tune serves as testament to the band's skill as songwriters. This track takes enough interesting turns to easily maintain interest for over 8 minutes. The piano line makes intermittent appearances as do some keyboard textures. After the song crescendos toward the end with some thick, majestic harmony vocals, the song ends as it begins with a delicate piano outro. Awakening closes out the EP with an another epic: this time it is a ballad. The angelic lead vocals make this song very emotional and the powerful guitars and keyboard lines only enhance this further. A brief acoustic piece and a touching keyboard solo add even more flavor to the track. Normally, ballads don't do much to impress me, but this track is very well written and thus very hard to ignore. 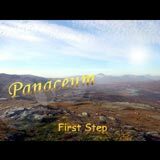 With this First Step demo, Panaceum has defined their own sound as have established themselves as talented and creative musicians. All four tracks show a different side of the band. That quality alone is more promising and entertaining than so many of the copy-paste, redundant power metal bands out there today. The band knows how to play their instruments and they also have the ability to come up with some truly interesting and emotional arrangements that should attract some interest from some labels out there.